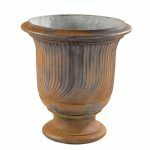 The Venetto Garden Urn is a classically styled urn with narrowed neck above a rounded body atop a footed pedestal. 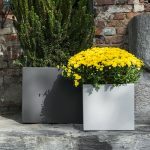 A eye-catching feature urn to enhance classical park and garden designs. Urn and pedestal sold together. 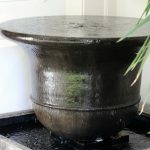 Urn height 1390 mm, Pedestal height 710 mm.